while I didn't see any precipitate forming, it got disgustingly sticky and stringy, then it bacame water-thin and it couldn't be thickened with salt. It seemed to have little conditioning or cleaning activity too. In latter experiments adding CTAC as the last thing, it seemed to work. There is a rule among cosmetic formulators of not mixing an anionic surfactant with a cationic surfactant in the same formulation, especially if it’s a clear product, since this interaction will result in the appearance of turbidity (precipitation). Nevertheless, vast reports show not only the possible but also synergistic combination of surfactants with opposed charge, conferring unique properties to the final product. The aim of this study is to evaluate the use of a co-surfactant as a novel tool for maintaining high levels of both cationic and anionic surfactants mixed in the same product, without precipitation. Not only we found this possible at certain rates, but also attributes of the system such as viscosity, detergency and foam stability, were improved. Seems to be the hardest part, so far. 1% or 1.5% of surfactant is not going to make a shampoo! Agree. Weird concentrations were used in the study. But it kind of proves that cationic surfactants can be made to work with anionic ones. Do you know if Behentrimonium, either as Chloride or as Methosulfate, can be made to work with SLES/SLS? I wonder if other ingredients (like laureth carboxylates) play a role in their stability, besides CAPB/hydroxysultaine order of addition? • Add to the deionized water each component, keeping the abovementioned order and stirring after each addition until total homogeneity. 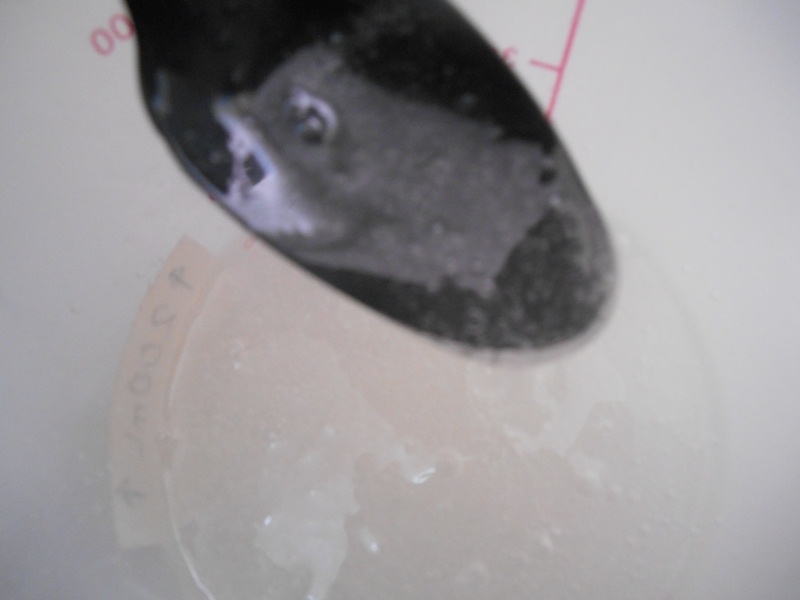 Disperse QUARTAMIN AB in part of the water (10%) at 65ºC, and add it to the rest of the formulation. By doing this it is not necessary to heat the entire product. Cool down the temperature until 40-35ºC. While phase B has too little water, after adding Phase B to A, a disgusting, slimy gel formed. but I believe it's failing because bare SLES must be added right after CAPB, and not just a phase B containing it. Thanks for the experiment, interested in this. I could probably repeat the Akypo formula ( I have RLM45-CA). I don't have the Amidet N though, maybe I could sub cocamide MEA? Nor do I have the SOFCARE GP-1, I could try water dispersible silicone to replace it? (Silsense DW18) and I will have to use cetrimonium chloride not behentrimonium chloride. Ingredients are listed in order of addition. All ingredients were properly dissolved before adding the next one. According to my experimentation notes, a different addition order gave good results. I'll repeat the experiment with just the above mentioned ingredients, in another order. There is a problem with the quoted Akypo formula with the RLM45 CA. I don't see the neutraliser. It is strongly acidic and must be neutralised, also its pH controls whether it is anionic, or cationic. At this point I am getting the distinct impression that you need to use the quoted Akypo surfactant. I will do an experiment if I have the time. I suspect you are confusing what Kao used, guar hydroxypropyl trimonium chloride, with simpler, non compatible quats. I can't replicate this bc I don't have any cationic gum here. Several conditioning shampoos, all around the world seem to use Cetrimonium chloride with laureth-sulfates, seemingly without problems. Water, Sodium Laureth Sulfate, Sodium C14 – 16 Olefin Sulfonate, Sodium Chloride, Cocamide Diethanolamine, Cetrimonium Chloride, Yucca Schidigera Extract, Fragrance, Dye. Ingredients: Water/Eau, Sodium Laureth Sulfate, Cocamidopropyl Betaine, Sodium Chloride, Glycereth-26, Fragrance/Parfum, C12-15 Alkyl Lactate, Hydroxypropyl Methylcellulose, PEG-60 Hydrogenated Castor Oil, Polyurethane-14, Cetrimonium Chloride, Guar Hydroxypropyltrimonium Chloride, Tetrasodium EDTA, AMP-Acrylates Copolymer, Citric Acid, Creatine, Macadamia Ternifolia Seed Oil, Dipropylene Glycol, C10-40 Isoalkylamidopropylethyldimonium Ethosulfate, Aloe Barbadensis Leaf Juice, PPG-12-Buteth-16, Triethanolamine, Dicalcium Phosphate Dihydrate, Sodium PCA, Sodium Lactate, Arginine, Limnanthes Alba (Meadowfoam) Seed Oil, Aspartic Acid, PCA, Hydrolyzed Soy Protein, Glycine, Alanine, Methylchloroisothiazolinone, Ceramide 2, Serine, Ceramide 3, Valine, Behenic Acid, Cholesterol, Isoleucine, Proline, Threonine, Methylisothiazolinone, Biotin, Histidine, Phenylalanine, Perilla Ocymoides Leaf Extract. cetearyl alcohol and Monamid CMA. Add the ArlasilkTM Phospholipid SV and stir. 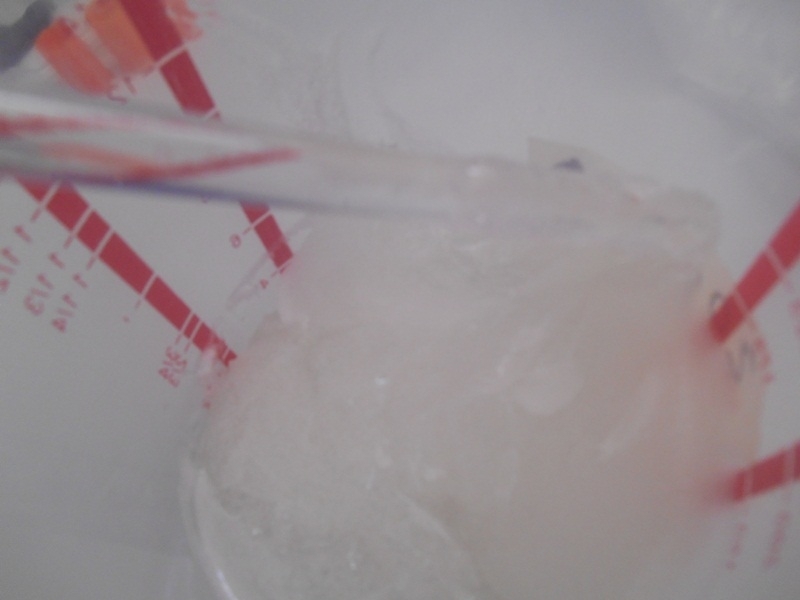 Begin cooling to 50°C then add the cetrimonium chloride. Well the obvious thing to do is to try simply making a 10% solution of AKYPO RLM45 CA, and add say 2% of CETAC to it, and see what happens. I can do this, so I will try it and see. I will add the CETAC prior to neutralising the LS and then I will neutralise it to check if further changes take place. 1. Added 10g RLM 45CA (.9AS) to 90g water, AS level 9%. 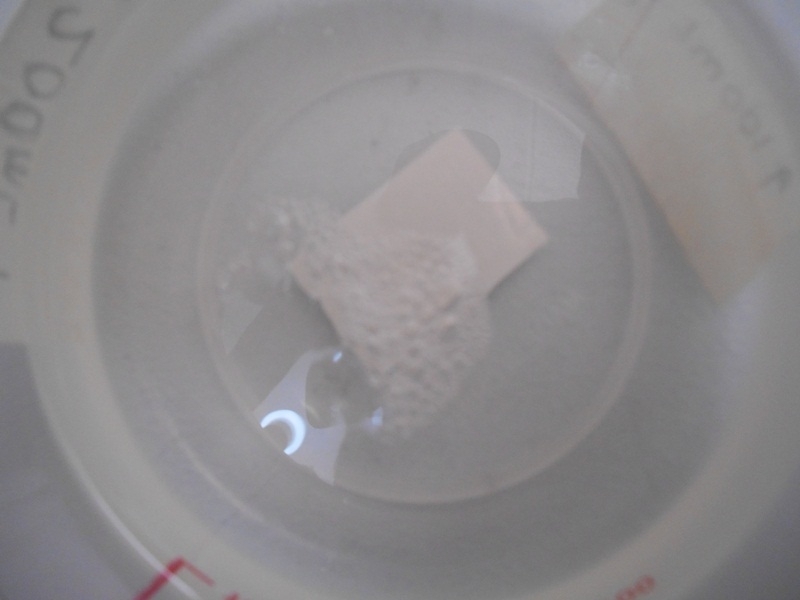 Result: milky fluid, acidic. 2. Added 2g CETAC and mixed. No apparent physical change. 3. Tested for foam. Zero foam generation. 4. Neutralised the mixture to pH6 using NaOH. Some foam apparent on mixing. 5. Tested for foam. Now producing foam. 6. Removed excess to get 80g of mixture. Added 20% SLES, .3AS, for 6% SLES. Some thickening evident but not to the level of a finished product. I will keep the result under observation but so far it does appear that the laureth-6 carboxylate is able to "protect" the CETAC from reacting with the SLES to produce slime. 9.33% Dehyton K (CAPB, 2.8% active) as expected it becomes a bit thicker. 2% Dehyquart A (Cetrimonium Chloride) now it becomes thicker, but not as much as in the previous addition order, and no slime was formed. Although it became whitish, it seems to have some bubbles in it despite not stirring it hard, unlike the previous flat-white slime. According to my previous experiments, it should become thinner, clearer and bubble free by tomorrow. I will post results tomorrow. This simple experiment clearly depicts how changing the addition order can have a huge impact on the end result, when working with anionics+cationics. @Belassi ; did you get the white slime too? What addition order/concentrations led to slime forming? Please see my post, the entire procedure was explained. The result is still stable. I tried the test item as a shampoo this morning. All seemed well until I got a tiny amount in my eye. On a scale of 1-10 the irritation was 11... definitely not something I would want to sell! after being left standing still for 24 hours = pretty clear and not too thick and nicely conditioning. Even gentle stirring makes it whitish and with some tiny white specs, which I believe this might be mild insolubility or incompatibility. If left standing still it reverts back to clear. It doesn't seem to affect its conditioning properties, and white specs may well be hidden behind pearlizer. I just wanna say this thread is super interesting! The contract manufacturer I work for doesn't really do hair products so it's really cool to see in depth discussion like this even if I'm not going to use the information. I've enjoyed following you guys' experiments. Cetrimonium bromide and cetrimonium chloride were severe ocular irritants that caused irreversible damage at 25% and 10%, respectively, in in vitro studies. Ocular irritation was moderate at 2.0% for cetrimonium chloride and mild for behentrimonium chloride at 3.0%. Is this something I want to include in a shampoo? They probably mistook Cetrimonium Cl for Steartrimonium Cl, which is really irritating. C o m p a n y, 1967). Steartrimonium Chloride ( dose not stated ) was severely irritating to the eyes of nine rabbits. Both r in sed and unr in sed eyes had irritation for up to 13 days after administration . One rabbit had red watery discharge, and six had hemorrhagic peripheral areas ( S h er ex C h e m icalC o m p a n y, Inc., 1986). I tag ak i et al. ( 1 99 1 ) investigated the ocular irritation potential of Steartrimonium Chloride. The conjunctival sac of one eye of each of three rabbits was instilled with 100 mL o f 10 % aq . Steartrimonium Chloride. Steartr imonium Chloride was highly irritating ; the total irritation score ( maximum possible score, 110 ) was 60.3 , and the maximum corneal score was 36.7. In another study, 100 mL of a 5% ( w /v ) solution of Steartrimonium Chloride was instilled into the conjunctival sac of guinea pigs. The eyes were scored for signs of irritation after 0.5, 1, 2, 3, 4, 5, 6, an d 24 h .
score of 96 (maximum possible score, 110) (B racher et al., 19 88) . I wonder if there is a synergy with the rest of the surfactants that makes it 11/10. @Gunther you need to consider the pH and how it affects the CAPB. If it behaves as anionic it will most likely fail. Perhaps if you add citric acid before adding the CETAC it will make it compatible. The RLM45CA is what we use in our sulphate-free product and it does not cause irritation. So it's either the SLES or CETAC or both and I suspect the CETAC because I had to wait hours for the irritation to subside. Now Cocamide DEA thickened it again, slime returned. I'll have to stick to my old recipe (discovered by accident), where CTAC is added last, perhaps only before pearlizer. @DAS that's a great idea. I'll try it. sodium laureth sulfate, while the complex is soluble. SELS/ Quat in two layers. I wonder if having a separate phase for Cocamide DEA with CAPB and SLES prevents it from reacting with cationics (even though C-DEA is generally regarded as nonionic). I believe TEA is only meant to neutralize the Carbopol (acrylates copolymer). I will, with Polyquaterniums and Cetrimoniums instead of SiliconeQ-20. Somehow phase A+B felt thicker than expected, despite no cationic being added yet. it did when filling up to 100% (q.s. ), with about 10% water. I'll try again with a variation of my previous working recipe, in that order. Lower the DEA to half and you will see a significant decrease of viscosity. Also you should consider DEA has 80 or 90% active. What's the purpose of erythritol?. doesn't make it sticky?. but likely it's mostly an anionic-cationic compatibility problem. while it may make shapoo a bit more sticky (although not as much as glycerin for the same weight) it conditions hair a bit, and more importantly it seems to temporarily thicken thin hair. I personally like JFrieda products. They work fine, not too expensive. And they don't make wild claims about puff-ingredients, or XYZ-free scaremongering. Simple and straightforward formulas you can attempt to replicate. 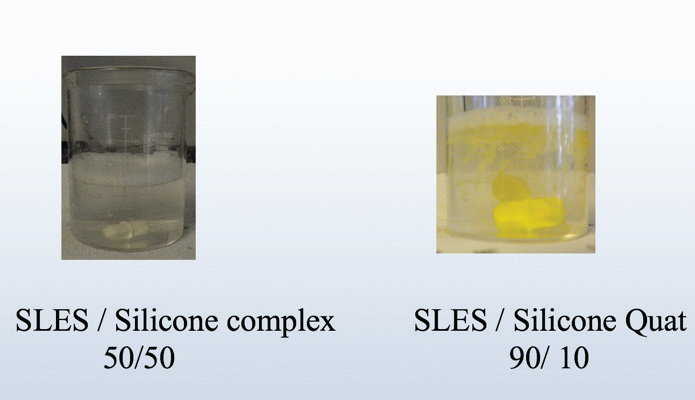 Most still use SLS/SLES. At this point CAPB thickens it a bit. It becomes thicker, allow to settle overnight, it thins out a bit. Right after stirring it becomes whitish, thicker, and a bit slimy. It thins, clears and smooths out by leaving it undisturbed overnight. It leaves a totally usable, mostly clear product. It ain't as conditioning as my previous formula. I wonder if lowering PQ-7 from 5 to 2% had such a noticeable effect. And what is it like for eye irritation? Interestingly enough, the previous formula with 5% PQ-7 was less eye irritating. I may try that formula again, with some other non-thickening surfactant to add some extra foam. Now I tried the following formula, but somehow it didn't feel as conditioning as the one wihout glucosides but with PEG-7 Glyceryl cocoate. I'd try upping Dehyquart to 5% to see if it's any more conditioning. I tried a pretty similar formulation just switching the addition order as @chemicalmatt suggested in other posts. Allowed to rest undisturbed for 45 minutes. Solution remains water-thin and crystal-clear. Allowed to rest for about 15 minutes. Left undisturbed overnight for Texapon to dissolve. The next day, this formulation has a slightly viscous, crystal clear appearance. Contrasting to the water-thin, slightly cloudy one mentioned above. On adding citric acid (powder) little tiny bubbles were formed. This one was much more conditioning than the previous one, just by switching the addition order. Too bad I can't seem to find Polyquaternium-10 locally. 1 I'll try adding some Amodimethicone+Cetrimonium+Trideceth blend, plus some extra CETAC to reach 1-2%. 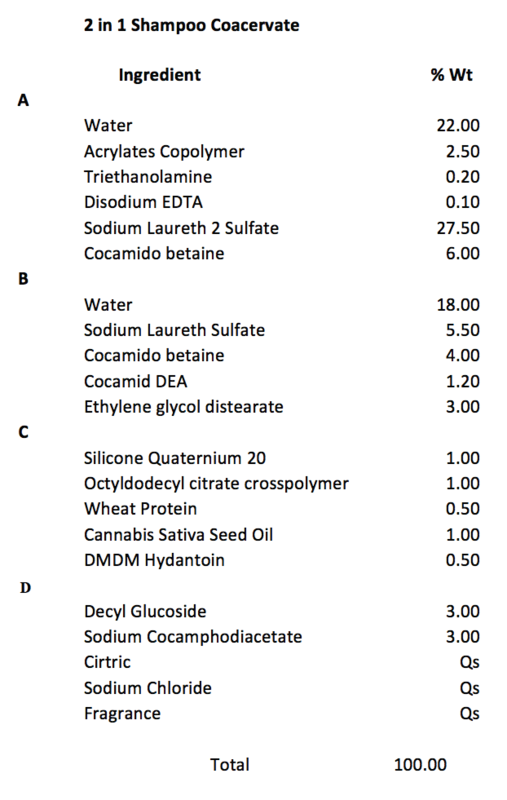 2 I'll see if BTMS-50 + dimethicone can hold in solution, with this new addition order. In Central America (Latin America), so I get the same (or worse) sourcing problems that @Belassi has.